Get it ready for Thanksgiving! With a little effort, you can turn your ubersized pumpkin into a tasty treat for the kids and a large bowl of pumpkin puree, perfect for pies and muffins and all sorts of yummy treats. 1. Turn on your oven to 250 to toast the seeds. 2. Decapitate Pumpkin, cutting a circle around the stem and pulling it off. Reach in and pull out the “pumpkin guts” (plastic gloves may make this less distasteful but it’s harder to reach the seeds). Put all the guts in a strainer, and set pumpkin aside. Slide fingers down each string, dislodging seeds into the strainer as you go. Discard strings and keep the seeds. I like to rinse mine at this point — but some choose to retain the nutrients and leave on the little bits. 3. Line cookie sheet with foil, drizzle a tablespoon or so olive oil over foil. Dump seeds onto foil, then add a couple tablespoons more oil and toss to coat. Sprinkle with a teaspoon of seasoning salt and garlic powder. (You can also put on a teaspoon curry powder for a more distinctive taste.) Toss gently to coat, then shake sheet until seeds are in a single layer. Place in oven to roast, shaking the pan every 10 minutes to toast evenly. Bake 30-40 minutes total, then turn up the heat to 350 degrees. 4. Now for the pumpkin. Using a large knife, cut the pumpkin along the ridges, approximately every 2-3 inches, from the top to the base. When you open it up it resembles a flower. On another foiled, oiled cookie sheet, place segments of pumpkin, flesh side up. Bake at 350 for 30 minutes each. Set aside to cool slightly. 5. For the next step you will need a food processor, sharp knife with cutting board, and a bottle of apple juice. Take each cooled segment of pumpkin and slice horizontally all the way down the length at approximately 1 inch increments. Slice off peel. Put the peeled pumpkin in the food processor about half-way full. Add a splash of apple juice, and pulse smooth. Empty processor and repeat until all the pumpkin is processed. 6. This creates a LOT of pumpkin puree, but fortunately it does freeze nicely. Just segment pumpkin in 1 or 2 cup portions into sandwich bags, squeeze out the air, and freeze. Now you’re all set for your Thanksgiving pies! 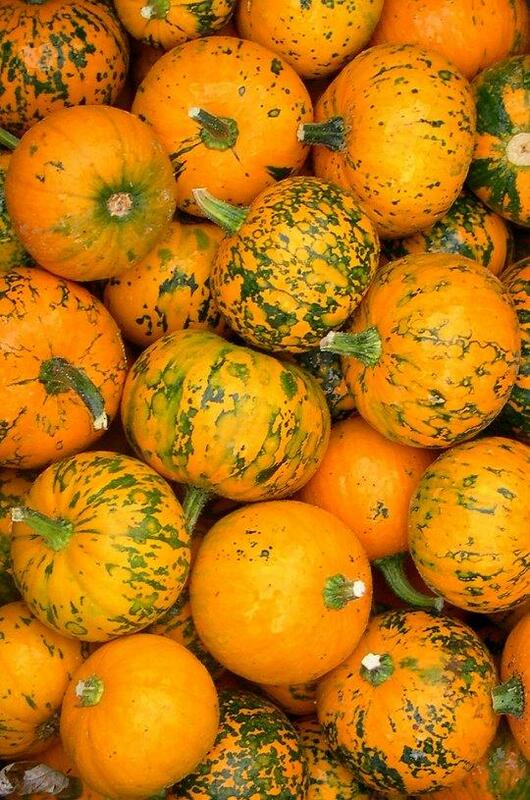 What else do YOU like to do with pumpkin puree? This entry was posted in recipes by heidihesssaxton. Bookmark the permalink.